With Coaster Con coming up soon, I bet you are all getting super excited! Check out this video we produced to show off Gilroy Gardens to all prospective Con attendees. This beautiful park will be new to most attendees, and this video will give you a little taste of the park. The Gardens is California’s only horticultural theme park and Home of the world famous Circus Trees. With 6 majestic gardens, educational exhibits and over 40 family rides and attractions this unique property boasts a truly green environment where “learning is disguised as fun”. Check it out at Coaster Con XXXVII this June! Kris Rowberry. Edited by Nicholas Laschkewitsch. Special thanks to Gilroy Gardens Family Theme Park for their assistance with this video. ALL on-ride footage was shot with permission. Do not attempt to film on any rides without prior training AND permission from said park. Nicholas Laschkewitsch is the Regional Representative for ACE Northern California and has been a member of the club since February 2009. He says it's hard to pick favorites, but the Santa Cruz Beach Boardwalk makes the top of his list. Being a Northern California local his whole life, he makes it out to the Boardwalk quite often. 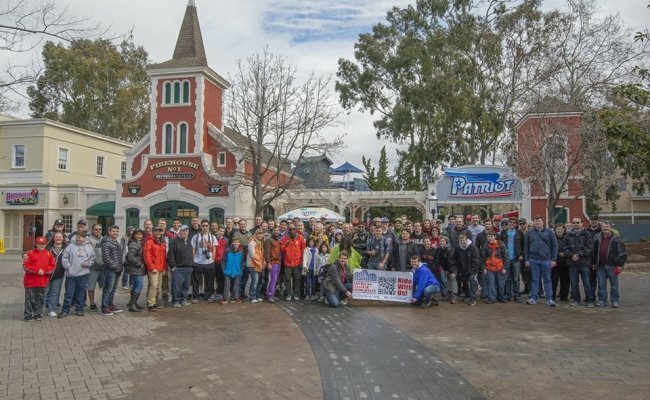 Nicholas is excited for what the future will hold for the Northern California amusement parks.